Life With a Whisk: An old friend. There wasn't any question that I would be making this week's pick for Tuesday's With Dorie by by Emily of Sandmuffin. 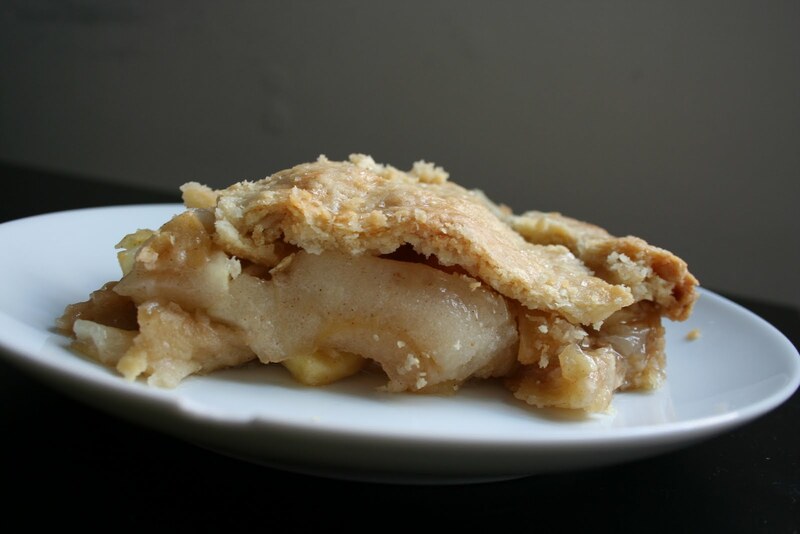 Dorie's All-American, All-Delicious Apple Pie is just that -- delicious. 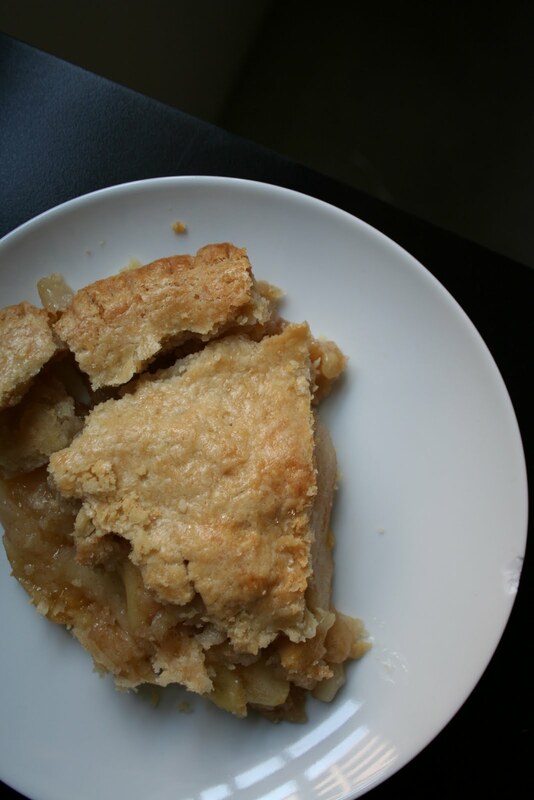 This wouldn't be my first time making it (it made an appearance at Thanksgiving a couple years back, and another time just because), but an excuse to fill my kitchen with the aroma of fall and loved ones' stomachs with toothsome apples and flaky pie crust was very much welcome. Yes, I was an "old hand" at this one, and then I realized I may have blogged about this recipe before, too, back when I was a more diligently keeping this up. And here it was. Nearly two years ago I had experienced the revelation that apple pie can, indeed, be fantastic, and today, I'm still maintaining that position. This time, I chose Mutsus, Granny Smith, and a few Arkansas black apples. I hadn't baked with the Arkansas black before, and because they're so small, I can't imagine making an entire pie from them (the peeling and coring would be endless! ), but they are such a distinct variety from the mealy ones that color the produce section of your conventional grocery store. And they're gorgeous -- it's the apple I imagine Snow White to have been been poisoned by, unable to resist the allure of its oxblood, semi-matte finish. 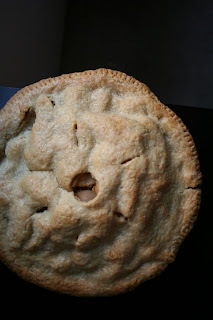 I've had a couple more years of pie dough rolling under my belt now, and the crust definitely draped over the mound of raw apples in a more attractive way (though as the volume of the apples decreased as they were baked, the crust caved a bit too), but there were also some less-than-sweet apples in the mix. I think next time I'll reintroduce the tsugaru apples and omit the Granny Smith standby. I can't wait for apple pie leftovers. If I recall correctly, the flavor was even better on the second day. I may even lay some cheddar over that slice. Dessert for breakfast? Absolutely.